Beautiful and influential, the Blakros family rose to prominence in part thanks to an ancient pact they at last broke nearly a decade ago, drawing the ire of the sinister Onyx Alliance. Ever since fighting off these foes, though, the Blakroses and Pathfinder Society largely assumed their enemies defeated—at least until spotting Alliance fetchlings wielding treasures stolen from the Blakros Museum. At considerable cost, the Blakros family has hired the Society to identify the thieves and learn of the Onyx Alliance's plans. 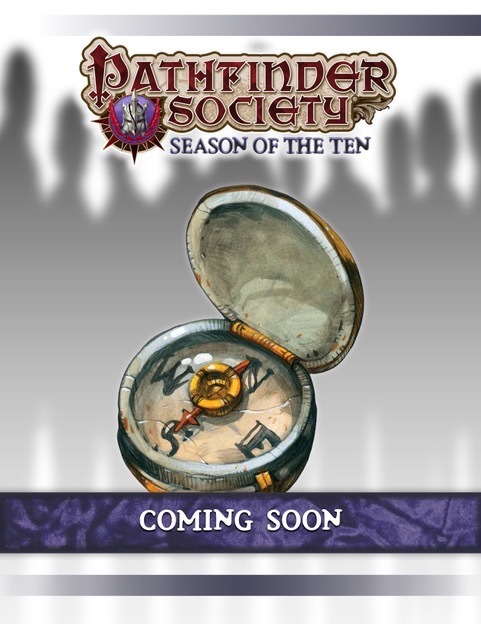 Can the PCs separate truth from illusion as their investigation takes them to gloom-shrouded Shadow Absalom? I mean, what could possibly go wrong in this scenario? Ouch. That 5-9 tier is a game changer. I'm going to have to hold off leveling Xadd, my Wayang Alchemist, for this one. I've been waiting for more Blakros/Onyx Alliance content. I’m 17% sure I made this happen with my review of the Penumbral Accords. Would you be willing to share a reading list for those of us that want to do our homework?? ?